FBI AGENTS LIED TO US ABOUT INVESTIGATING OBAMA'S CRIMES AND RAN SOLYNDRA COVER-UPS INSTEAD! On Thursday, the House Intelligence Committee quietly voted to make available to fellow House members “a memo documenting abuse of the FISA program,” reports Fox News’ Chad Pergram. Rep Lee Zeldin (R-NY) is demanding the secret memo be released immediately. 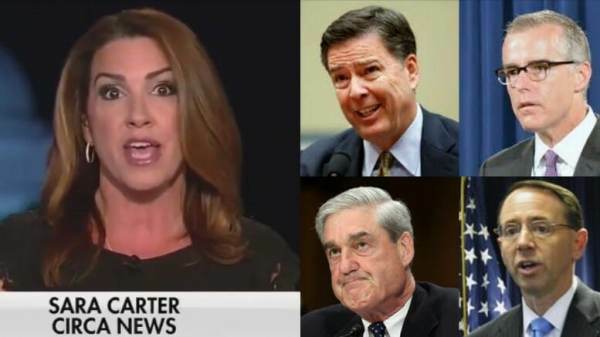 As The Gateway Pundit‘s Jim Hoft reported, Rep. Matt Gaetz (R-FL) joined Liz Claman on FOX Business Network to discuss the FISA abuse report. Carter’s story comes amid reports former White House Strategist Steve Bannon has reached a deal to meet with Mueller, rather than appear before a grand jury.